With today’s launch of its new tire look-up mobile app, the Alliance Tire Group reaffirmed its commitment to make doing business with the swiftly-growing global manufacturer easier than ever, said Barry Clifford, Manager of Marketing Communication at Alliance Tire Americas, Inc. The easy-to-use ATG Tire mobile application gives users access to detailed technical specifications for the company’s extensive lineup of Alliance, Galaxy and Primex brand tires. Intuitive and user-friendly, users can search the new app by tire size, machine application, and industry segment (Agriculture, Construction, Forestry, etc.). Results include detailed load and pressure tables. According to Clifford, the app has all the information ATG customers will need to drill down to the best tire for any job from among the company’s more than 2,000 SKUs. In addition to its tire look-up features, the app allows users to stay updated with new products, save items to a “wish list,” or email tire information directly from inside the app. 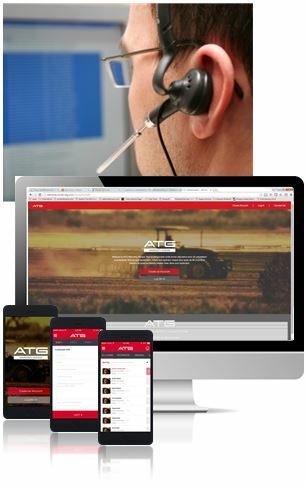 The ATG Tire mobile app is available for free download and can be found by searching for “ATG Tire” on the Google Play and iTunes platforms.